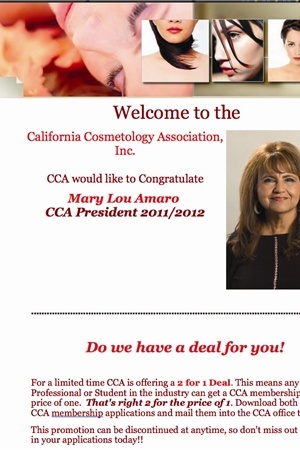 Education and insurance top the list of reason techs should join the California Cosmetology Association (CCA). Insurance is often an out-of-pocket expense when working in a salon and is more costly on an individual plan. “Under a group plan, you can purchase insurance at an affordable rate and without an examination so no one who applies will be denied,” says Amaro. If you are affiliated with a CCA member, other family members may also apply for insurance. For more information, go to www.the-cca.com or call (800) 482-3288.